At the gameplay reveal of Destiny 2, Bungie announced a number of new things for the crucible but perhaps the biggest announcement was that all PvP playlists in the crucible would now be 4v4. The question is, why? If you’ve played the crucible in Destiny 1, you’ll know that there are a number of different modes such as Control, Clash,Rift, Elimination, Doubles etc, offering playlist sizes of 6v6, 3v3, 2v2 which, while offering variety does create a problem from the map creation standpoint. A map that is designed to work for 6v6 might not work at all for 3v3. The opposite is true, if you build a map specifically for 3v3, chances are it won’t be an optimal experience for 6v6. Some games get around this by creating different maps for different play modes. Bungie has unified the experience by making all modes 4v4, which undoubtedly will help with map creation. While this will be the primary reason for the change, there is a possibly another reason that Bungie will almost certainly never admit to. I should add that this is pure speculation on my part. It has made me wonder if 4v4 is also motivated by remaining with peer to peer connections rather than dedicated servers. With dedicated servers, every player connects to the central server and then sends/receives information from that server relating to the game. If one person has a poor connection to the game, it affects that player only and won’t lag the game out. In a peer to peer network setup it, it’s a lot more complicated. There is a central server that sets up the game but the key difference is, each of the players communicated with each other. In a 6v6 match, each connected player will be communicating data to eleven other players. That places a greater demand on each player’s connection. Download speed is rarely a problem, but upload speed could well be the cause of most lag experienced. On a traditional broadband connection (not fibre) in the UK, it’s fairly typical to have download speeds in the region of 15Mbit which is fine. The upload speed however is almost universally around 1Mbit. Playing a game with dedicated servers, this isn’t a problem as the amount of data that gets pushed around is usually 0.1Mbit or less, leaving plenty of headroom in the connection, but if you have to push that data out to 11 other players, it could easily max out or exceed the upload speed limit causing lag issues to the whole game. There is a genuinely superb article on Reddit which analyses exactly how much data Destiny 1 uses. Bearing this in mind, reducing playlists to 4v4 will definitely help lag issues as it will reduced the strain on players’ connections. 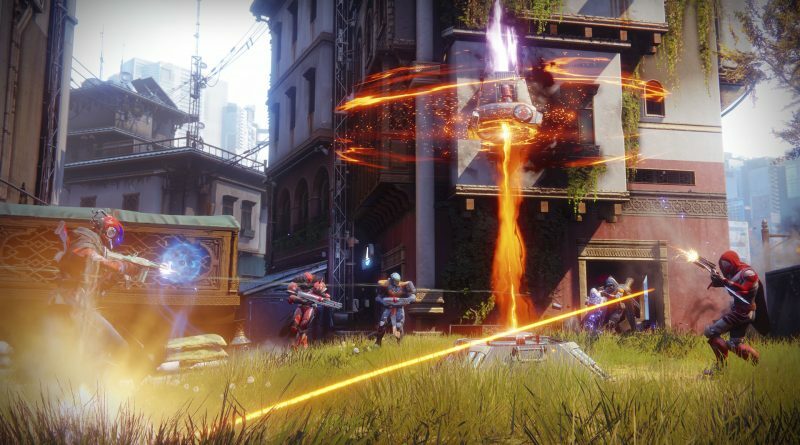 Given the decision to keep Destiny 2 a peer to peer game, could this have been a motivator in the decision making process? Maybe. There are good reasons for doing this, but I suspect Bungie will be reluctant to admit it was a factor. Afterall doing so would be an admission that using peer to peer is sub optimal and that dedicated servers would be a better solution.